You're never too old for a treehouse, and this one's so cool you can pack it up at take it wherever you please. 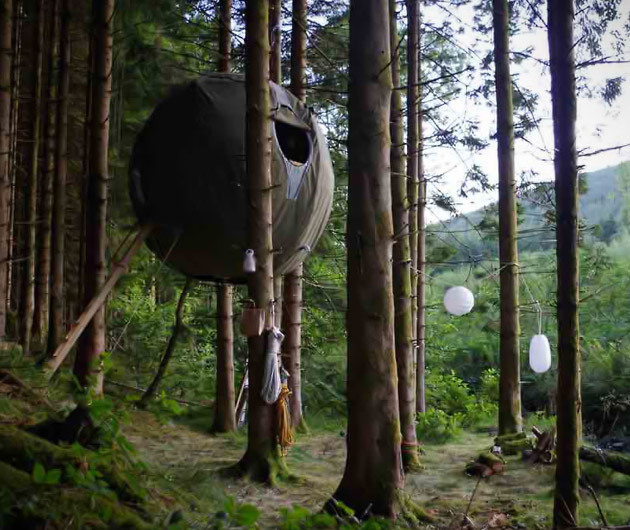 The eco-friendly Luminair Tree Tent boasts a hybrid aluminum and green ash static frame and a 100 per cent cotton canvas skin that can be easily assembled on-site. It can fit a pair of adults, has a wool lining and even comes with its own wood stove and water and electric options. It would be ideal for tree-hugging hippy protestors, though probably a little out of their price range.